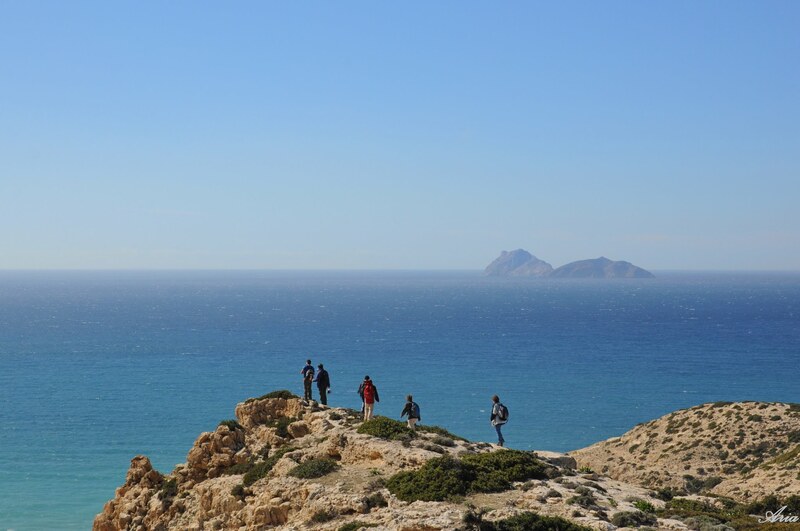 During the hike we will visit to the historic monastery Odigitria and also the beautiful beach in the west near Matala which called “red sand”. If you do this tour during summer months don’t forget to bring along with you your mask and snorkel. If you don’t have any just be sure to mention this into the booking form and we will bring one set for you free of charge. The hike offers a great view to the sea. Best suited for hikers that travelling off season (October-May) due to been in low altitude thus having higher temperatures during the summer. 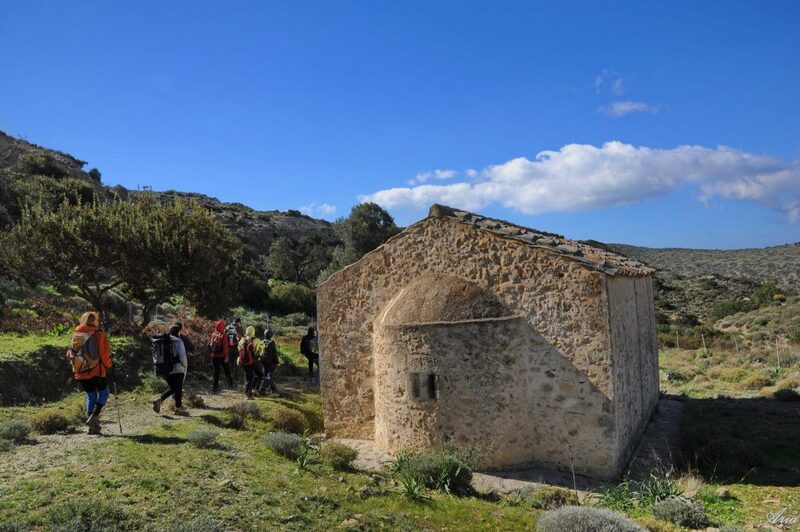 During the hike we will find Byzantine churches, remnants of fortifications and aqueducts. 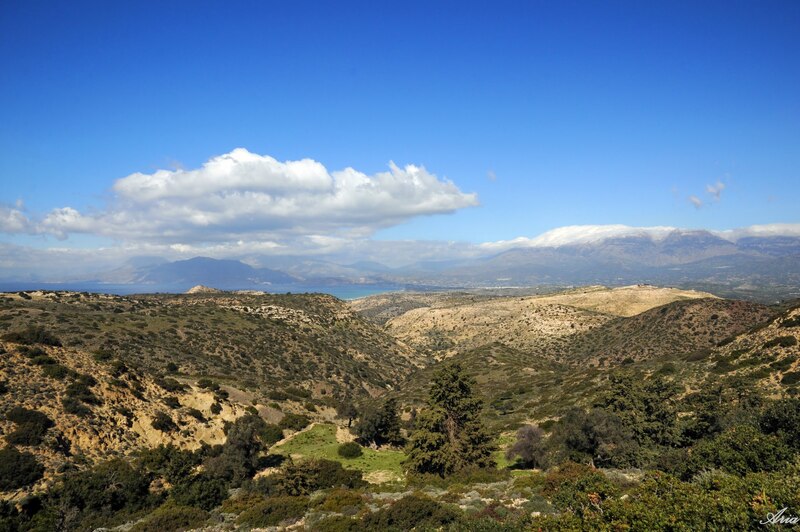 Part of the hike has great views to the Libyan Sea and the Messara valley crowned by Psiloritis, Kedros and the White Mountains. Final destination is the small village of Matala. 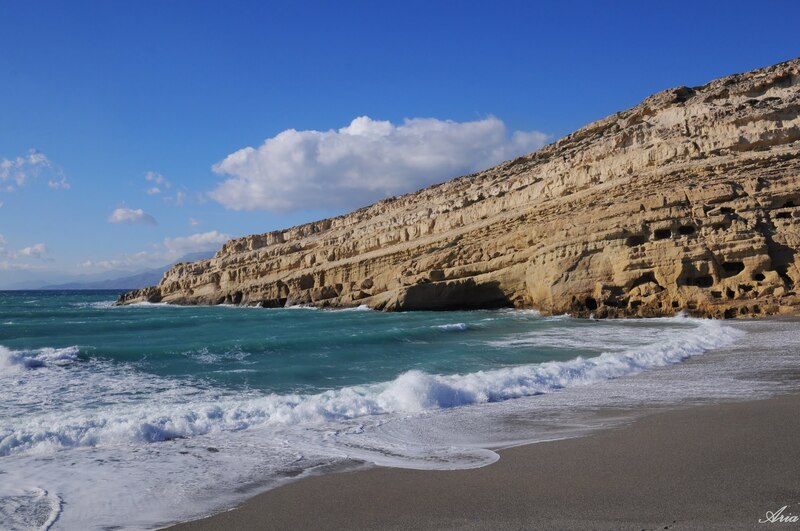 There are many artificial caves in the cliff of the Matala bay were created in the Neolithic Age. 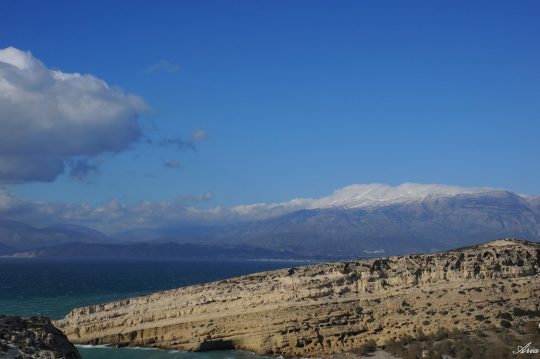 In the year 220 BC., Matala was occupied by the Gortynians, and during the Roman period, Matala became the port of Gortys. 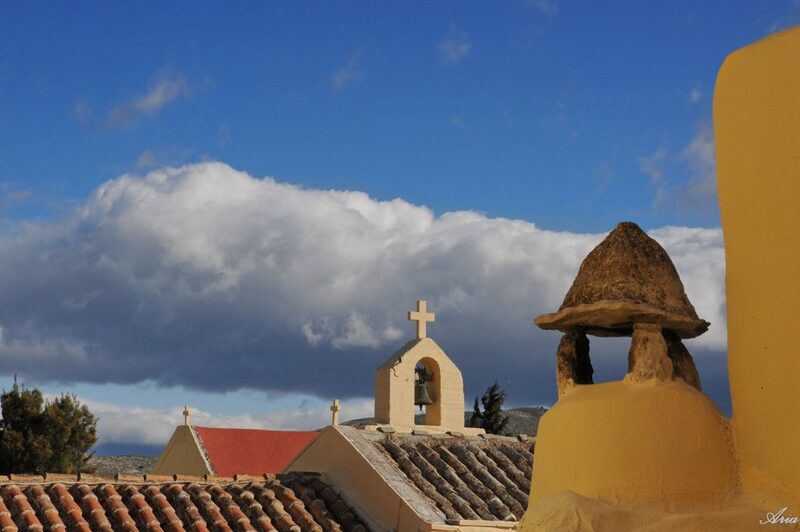 In the 1st and 2nd centuries, the caves were used as tombs. One of the caves is called "Brutospeliana" because according to the legend it was frequented by the Roman general Brutus. Matala was then a fishing village. In the 1960s, the caves were occupied by hippies who were later driven out by the church and the military junta. 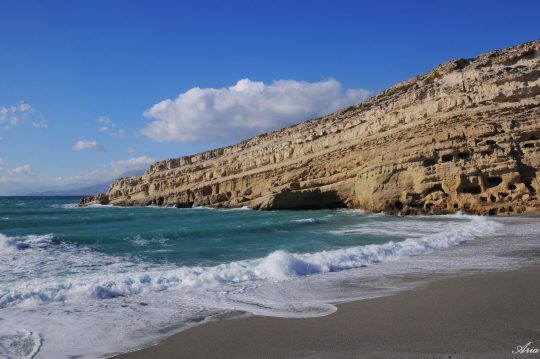 Nowadays Matala is a busy tourist village but outside the high season (June-July-August) is a great place to hike near by. You will need to pack your lunch. Other than that you will need at least 2lt of water,sun glasses, hat and sunscreen. It will be fine to do this hike with normal sport shoes but hiking shoes are much more recommended due to rocky and sharp terrain. During winter you will need a waterproof jacket and pant plus a fleece jacket. Will meet in Heraklio, if you are not staying there please get in touch with us to discuss the best possible meeting point.